OK, so when I was living in Switzerland, one of my go-to meals was a baguette with butter and ham from the local patisserie. It was just awesome in its simplicity and fresh ingredients. And cheap, to boot! 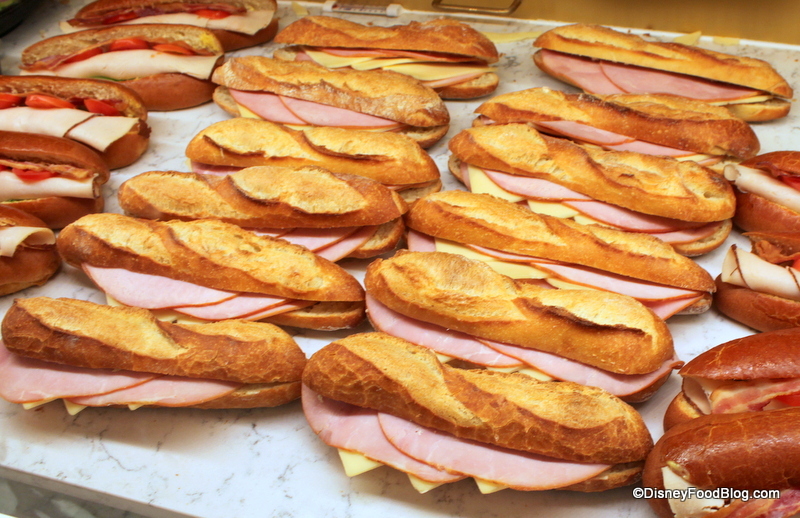 So I was excited to see the Jambon Buerre — which basically means ham and butter — baguette keep its spot at the new Boulangerie Patisserie Les Halles in Epcot’s France Pavilion. The pastries and bakery items available in the France Pavilion have been some of the most beloved food items of Disney fans for a loooooong time. Earlier this year, when the original (tiny!) 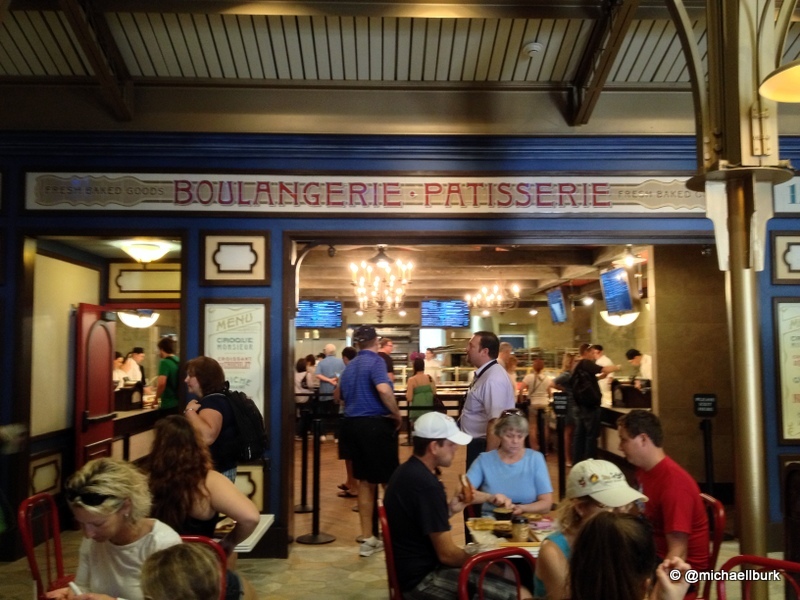 Patisserie Boulangerie was replaced with an expanded space, reviews were mixed. Most people were happy to see the addition of indoor seating and a more accessible space as well as an expanded menu. 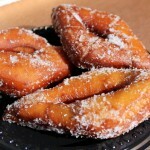 But others have decried the price increases and changes to beloved pastries. We’ve sampled many of the offerings here in our previous review. Today, we’re stopping to see if the new counter service spot is still faithful to one of my favorite French on-the-go meals. Walk through the gift shop and past the small seating area to get to the heart of Les Halles. There, you’ll find a square room with cordoned lines in the middle. The food cases line three sides of the space, and a dozen or so cast members await the chance to help you make your selections. Electronic menus on flatscreens above the cases show you what’s available. 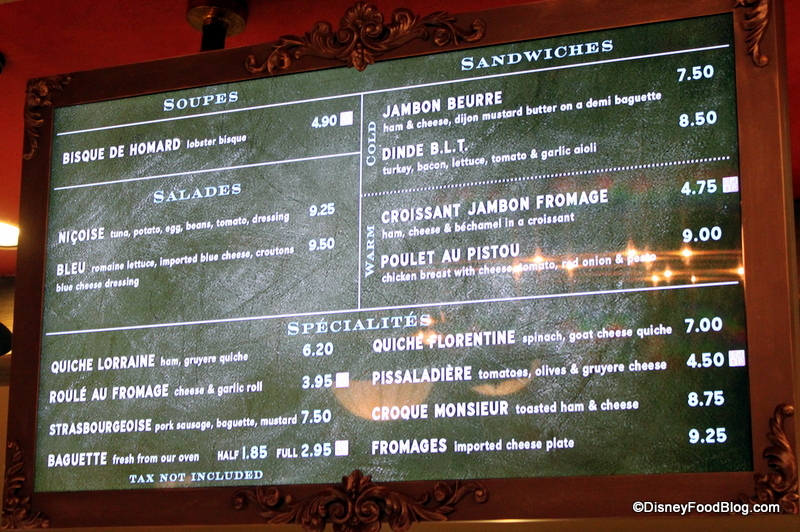 I love the menus here, and how everything is in French with the English translation off to the side. It’s a great way to brush up on your grammar while you wait! Keep in mind that other boards list pastry specialties and drink options. This board lists only the savory, “meal-type” options. The selections are laid out in the cases for you to see before you choose them. Even though items are refrigerated, CMs will ask you if you if you’d like many of the items warmed. The answer is usually yes! But on this visit, we were after a cold classic: the Jambon Beurre. 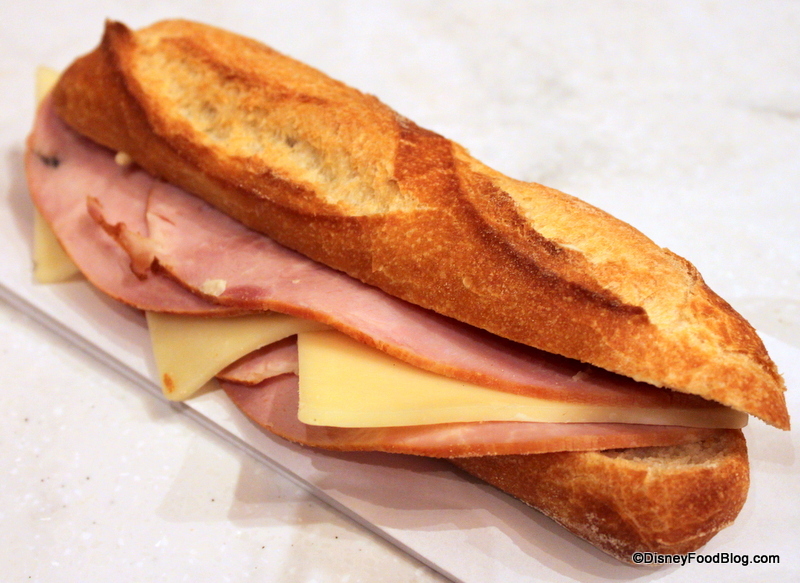 Normally, a jambon beurre is made up of a demi-baguette spread with softened butter and ham. Jambons Beurres as Far as the Eye Can See! Les Halles’ version actually adds Dijon mustard to the butter, as well as Gruyère cheese. This is one of the simplest sandwiches you can imagine. But it’s also one of the best. I love the richness of unsalted butter in place of a different condiment like mustard or mayo. And the ham they use seems to be thicker cut than usual deli ham, and of good quality. And even though they take a few liberties and stretch what would normally be called a jambon beurre if you were in a bakery in France, this one is pretty authentic and fabulous. The addition of Gruyère is always an excellent choice in my opinion. The nutty cheese has as strong flavor — almost a sweet/bitter palate — that many people really enjoy (including me!). 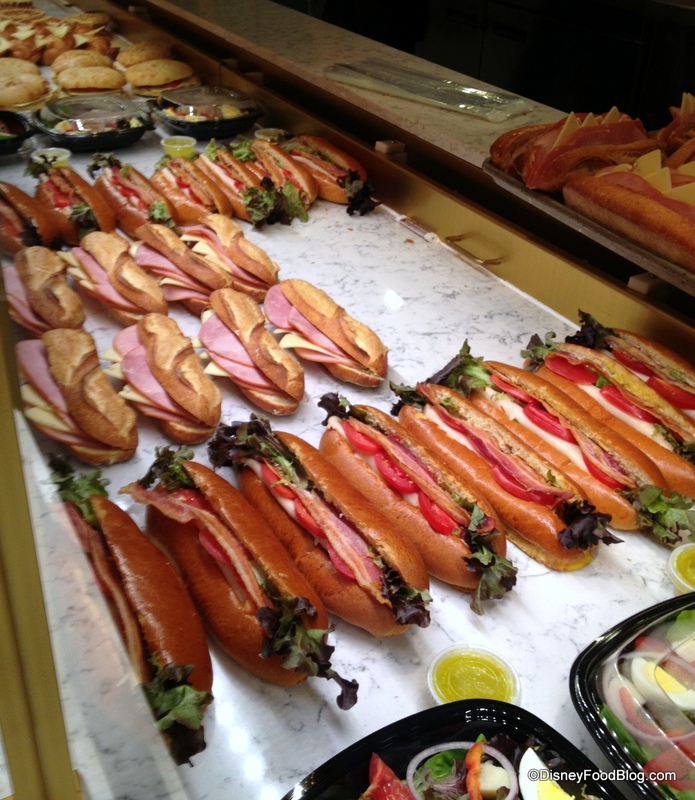 Paired up with the flavorful ham, fresh baguette, and butter, it’s a win all around. So, if you, like me, can’t get to Paris, but you can swing a trip to Epcot, I heartily recommend a trip to Les Halles for a simple lunch. 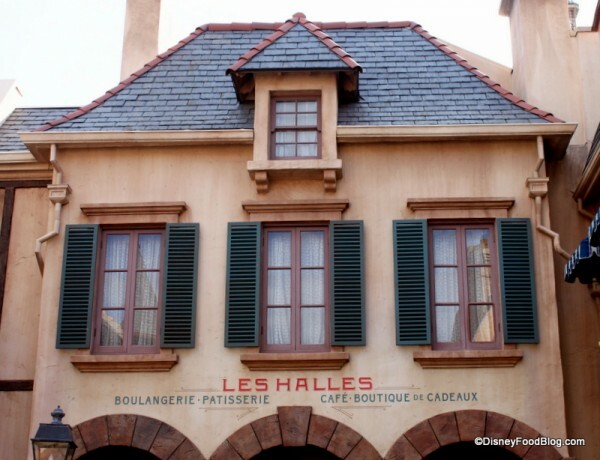 Is Boulangerie Patisserie Les Halles a regular stop for you? Leave a comment and tell us what’s on your must have list here! 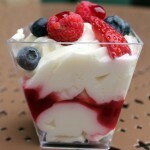 Disney Food Pics of the Week: Epcot’s France Pavilion! I had the turkey BLT in June. It was delicious. I’ll have to try the Jambon Beurre next time. 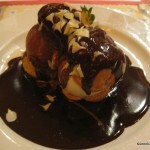 This time I’ll be on the meal plan, so I’ll just have to have a pastry for dessert. (I’m sure I get no sympathy for that! Thank you for the review. 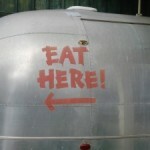 It made me hungry! This isn’t a place that I eat at, but I love to try a few new eateries on each trip and this looks very enticing because I love sandwiches with a butter and mustard combination. Also, the bread looks wonderful and the Gruyere would also be a real treat. This will definitely be on my ‘To Do’ list. And how great that you got to live in beautiful Switzerland (a place that I would love to visit some day)! Like the author, I remember having the same meal during my visits to extended family in Switzerland. This meal was a standard on the trains when traveling from Sissach and Basel to points everywhere else. As far as EPCOT goes, I consider this to be a hidden gem. We found it during a visit at Christmas a couple of years ago and ate outside by the canal en Francaise Provencal and listened to Father Christmas. We have considered this to be a must stop since and we are looking forward to seeing the new version on our next visit (soon… we are counting down). I head for this shop as soon as they drop the rope. 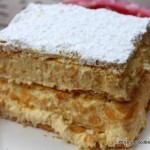 I almost always get a napoleon but I’ve been trying to branch out. I have had the Jambon Beurre before and will be getting it again on my next trip. Are the sandwiches included on the DDP as a quick service meal? If yes… what is included please. Thanks! The lobster bisque alone makes this a must stop. Add those sandwiches and you’re dan’s le ciel. Were can I find the recipe for the baguette itself? They are the best here but I havent found a recipe thats nearly as goid as the one here.